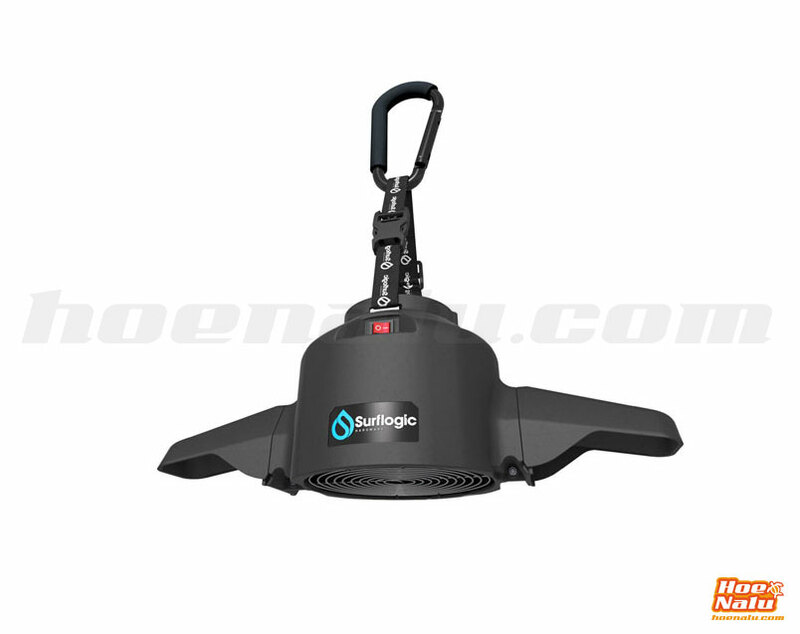 This week, we want to tell you about Surflogic, it is a brand that makes all type of accessories for water sport lovers. It was born in 2005 with the Surflogic keylock, the most famous product of its catallog and the piece that made a space for this brand in the surf world. Since that moment, this familiar brand, place in the Basque Country coast, has been grown and they have extended the catallog to more accessories that make surfer life simple, and not only for surfers. Kitesurf, paddlesurf, windsurf and all water sports lovers have a product for them in the Surflogic range. Just not only keylocks, Surflogic has straps, seat covers, waterproof bags, hangers, etc and the new product, the Surflogic Wetsuit Pro Dryer, the best option to get your wetsuit dry in a few minutes. Stay tunned and discover all the range of accessories for SUP, surf, kite and more that Surflogic has designed to do your water life simple. The Surflogic Wetsuit Pro Dryer is the last product that the brand has included in the full range of complements for water sports lovers. What's the Pro Dryer? 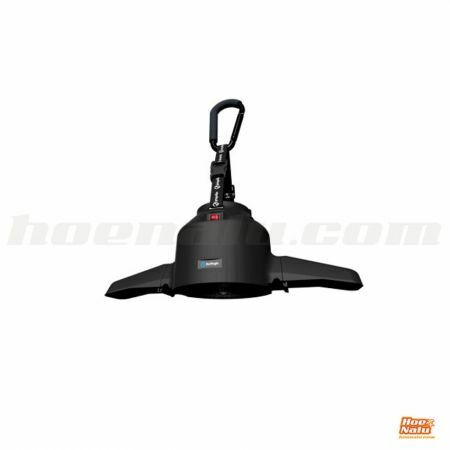 It is a dryer specially designed to use with wetsuits, because has a hanger to keep it in the right way, and it dries the wetsuit in a short time. You know, one of the worst feelings doing surf or whatever water sport is to put on your wet wetsuit, specially in cold season, to resturn to the water as fast as possible. Imagine this situation. You are surfing in the morning, you go out to lunch and two hours later you back to the water and you must put on your wet and cold wetsuit again. With the Surflogic Pro Dryer, it doesn't happen anymore, you will be back to the water, feeling warm and with a great sensation. Also the Pro Dryer has a 3 meters cable, so it is easy to hang the wetsuit and connect the dryer to the plug. The system has smart heat control to transform cold air in hot air to dry the wetsuit fast and controlled with an air flow of 6000 liters for minute. 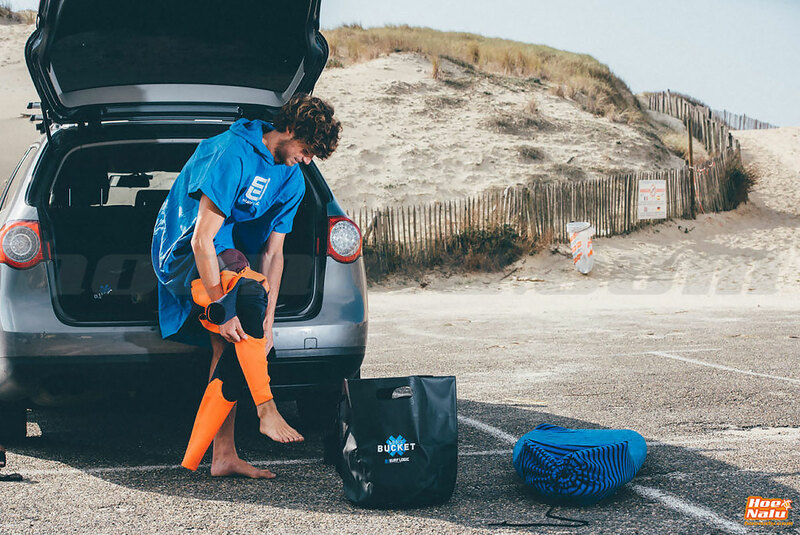 With this patented accessory by Surflogic, now you can surf with your wetsuit in the morning and put it on back again in the evening, completely dry. The Pro Dryer helps you to avoid one of the worst feelings of the water sports world. Honestly, this accessory has surprised us pleasantly. The first contact with it you think -oh. it's a hook for the wetsuit- just that. But when you use it you can try how well it works as well as the high quality that it has been made and the versatility of its use. It can carry up, up to 10 kgrs without problems, and you can set it wherever you want, just look for a plane surface, put the suction straight and then turn the thread to place it, it will remain in the place that you put for a long time. We tried it with two wetsuitsm and the hook still works perfectly since a long time ago. It doesn't need tools to place it, it is water resistant and you can put it on any surface, so our opinion about this "simple" hook has changed. 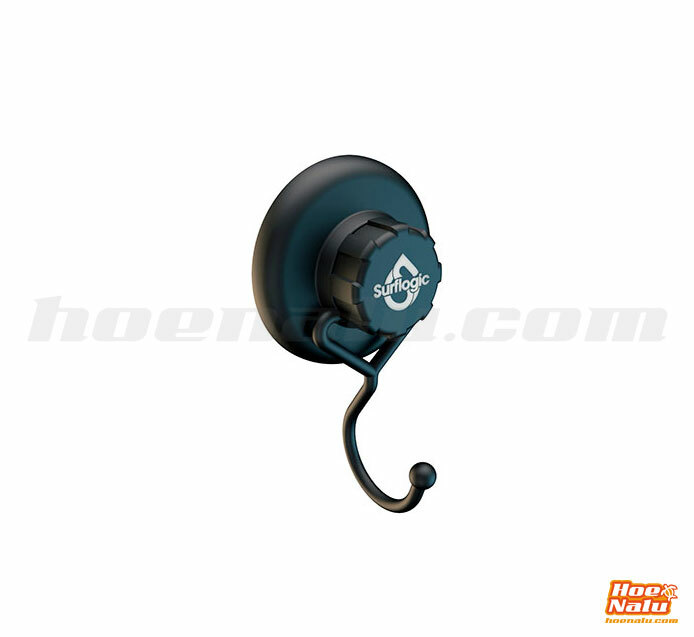 This Surflogic wetsuit suction hook is ideal for vans and caravans users becuase it is small and you can place it on the window to leave the wetsuit drying outside. Moreover you can use it for anything you think, hang up a lamp, the dog leash and more. At home, it is perfect to hang up the wetsuit into the bath after you wash it -remember to use fresh water after the sessions for a wetsuit long life- put the hook on the wall or the bulkhead. Really we fall in love with this small and simple accessory that makes our routine easier. The Surflogic poncho shines for the best weight-volume ratio, also for the dryer properties of the microfiber. It is a lightweight poncho made with microfiber fabric with extra absorvence properties so you will be dry in a few minutes and the poncho just occupies a little space in the backpack or in the car. You will have the same features that a towel poncho but in the half of space, so it is a dream for people who just only carry a backpack to the beach. If you don't try out yet to go to the beach with just only a poncho, it is time to do it. The poncho is the perfect way to go to the beach snugly. You can use it to lay on, to dry yourself and change your wet boardshort or bikini to dry clothing avoiding the views of the rest of the people. It becomes a must have for many people, and apart to be a great and snug way to change from wet to dry, it is an extra layer on windy and cold days when you go out from the water. 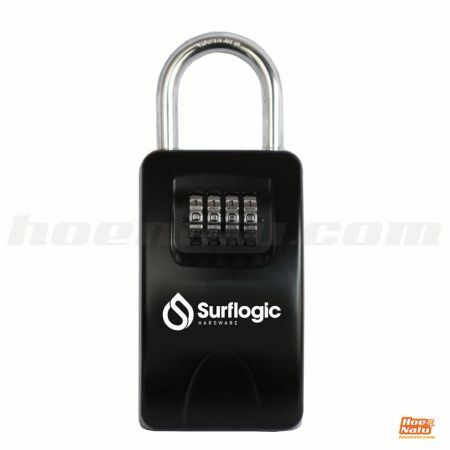 The Surflogic keylock has been the most famous product of the brand for a long time. It is the perfect complement for surfers, kiters and everyone who needs to keep the key car while is enjoying of the favourite sport. It is the best and safety way to keep the keys. The padlock has a combination system of four numbers that you can set and change whenever you want. The padlock has a stainless steel arch with maximum security that you can place in the rack, the handle of the door, the tire or another place that you think it is great to leave it. It is the best way to leave the car parked and avoid the key losing. You can share the combination too, and it is a perfect way to share the key of your house, business or car with a friend, your pair or a mate, because you can place the padlock on a safe place and take adavantage of its possibilities. It is available in three different colors: black, silver and camo, and it has an interior compartment of 58x75x30 mm to keep the keys in. The Suflogic Maxi is the big version of the Standard one. With the Maxi, the interior compartment has grown and now you have a space of 69x107x40 mm to hold the keys in, so it is perfecto for bigger keys as well as the new smart car keys that have a big size. 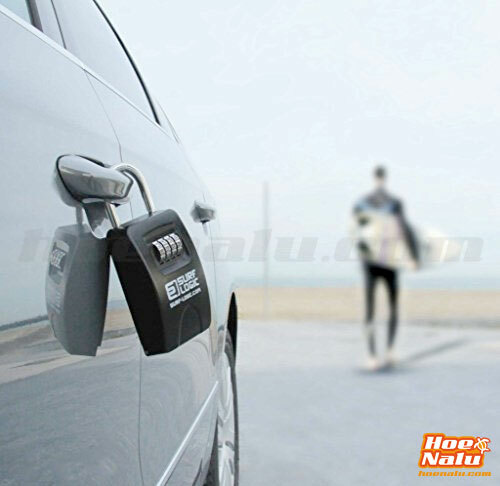 Also if you car has smart key working with proximity, there is an aluminium bag to keep the key inside, and it blocks the FOB signal, so the car will be save from burglars because the start&stop system will not work while you are in the water surfing, paddling, sailing or whatever you want to do it. The Maxi version has three finishes too: black, silver and camo. This is the perfect way to carry the board on a car without fixed racks. If you will go on a surf trip or you will rent a car, it is a good option to bring the surfboard with you without porblems to transport it. It is a good solution for people who just need a transport system a few times in the year. 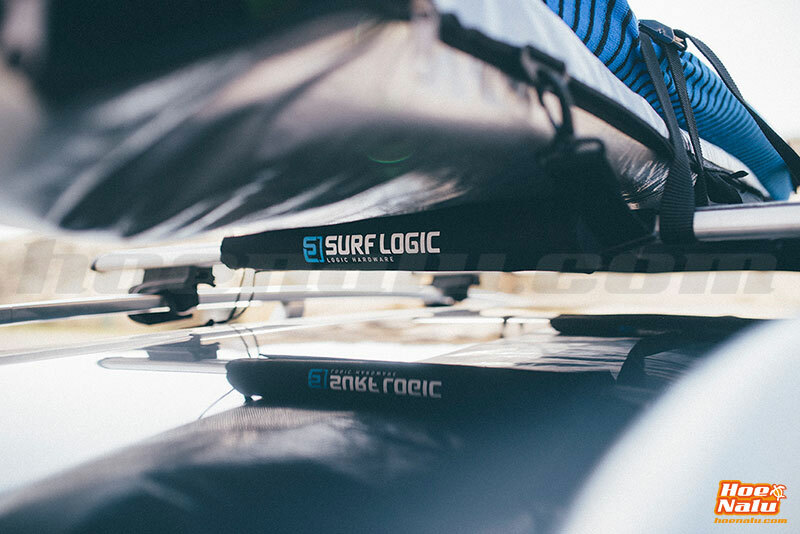 Maybe you have the board in a club near to the sea, but you want to go to a competition or a meeting by car and you need to move the board but you don't have fixed racks on the car, no problem, you have the Surflogic Soft Racks to go with your board wherever you want. The Soft Racks are soft, flexible and secure, they are two padded pads of 50 cm of width. They place on the roof of the car, on the doors, so you pass the straps from the doors and tie them inside the car. The installation of the system is quick and in a few minutes, your car will be ready to transport up to 3 surfboards. The buckles have neoprene padded base: protection for both car and boards, and the straps are 30 mm of width to get the best security when you use the system. It is a solution that works perfectly when you set it correctly and the speed is lower than 80 km/h, that is what the brand says, althougn we know that it works well in higher speeds because some customers use it up to 150 km/h (HoeNalu always recommend to drive carefuly and follow the law of the state that you are visiting), as well as long travel (more than 800 kms) and no one has a problem. Just it is a little noisy depending what you are carrying. Finally, the system is ready for carrying up to three surfboards, but obviously you can place one or two depending your needs. We want to recommend and remember you to follow the instructions giving by the brand as well as the traffic norms of the place where you are driving, remember that you are in the road with another drivers, so review the system and drive carefuly. Moreover, when the system is not working you can store it in the bag included with the soft racks, and it occupies a small place in your house or in the car trunk. Surflogic rack pads have been designed for regular racks or aero racks. The aero are those that are plane and have more aerodynamic efficience. Surflogic rack pads are 70 cm widthness to carry your boards. They have velcro fastening, are soft, flexible and secure, and it comes in a 2 units pack. If you transport your board on the roof the most of the days, we recommend you to use a pair of rack pads to protect your board as well as a board bag that will make your board still looks like the first day. We can prove how the most of the damages of a board are produced during the transport. The main accessory to place the board on the roof. It is a pack with two straps 3.65 m of length and 30 mm of thickness. They are made with a high quality material to avoid breaks. The metal bucklet is made with high resistance material too, and has a neoprene layer covering it, like the soft rack ssytem, to protect the board and the car when we are using the straps. This bag has tube shape, and it saves everything from water contact, so it can be use on two ways. You can use to store in it the objects that you want keep far from the water, like the mobile phone, the wallet, the keys or some clothing. As well as you can use to keep the objects around the bag dry, for example if you use it on a SUP tour to keep the previously mentioned objects dry, and after the tour you have a wet boardshort or wet rashguard, you can place them into the tube bag and keep your clothing dry from the contact ogf the bag. The shape of the bag make it perfect to carry in the deck net that most of the paddle boards have. It has a handle and a shoulder strap to make easy the transport. It is completely waterproof and when you are not using it, you can roll it up and it occupies very little space. The SurfLogic bucket is the accessory to place quickly the wetsuit and all the things that you use at the beach. It is not only for surfers, everyone can use it and we are sure that it will be strongly appreciate by families with kids. It is waterproof and easy to carry thanks to the double handle and its removable shoulder strap. It shines for the big capacity, up to 50 liters, so you can store some wetsuits in the same bucket, something very good for couples, families and instructors. The Surflogic waterproof backpack has the same use than the tube bag that we talked previously but it has been improved. It has a double shoulder padded strap to carry it like a regular backpack, that make it comfortable to bring wherever you want and for a long time if it is neccessary. The backside is padded too, so you will be safe from bumps on your back. The backpack has some pockets to store small objects that you can need while you are paddling, like an energy bar, a small water bottle or the sunglasses. Finally it has an adjustable strap in the frontside that it is perfect for the flip-flops for example, or a big bottle of water. No doubts, the waterproof backpack by Surflogic it is a great solution for everyone who goes to the beach frequently as well as it is a must have accessory for people who love the SUP tours. 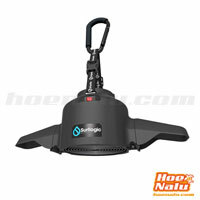 Keep your personal objects clean and dry and paddle easily. 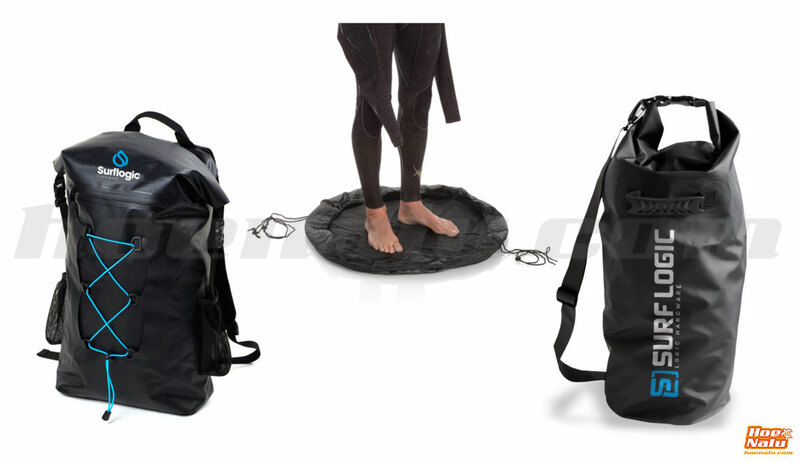 The Surflogic change mat is a useful accesory for people who love go into the water. It is ideal to change without have our feet dirty and also it keeps the wetsuit, boardshort, bikini, rashvest or anything else, inside without stain around it. After you change your wear, just close the change mat with the cord and leave it in the backpack or the car without fear to wet something, it is waterproof. Use the change mat for you or try it with the kids and avoid that situations when you wet all around the beach bag. Just remember that Surflogic makes our beach life better. 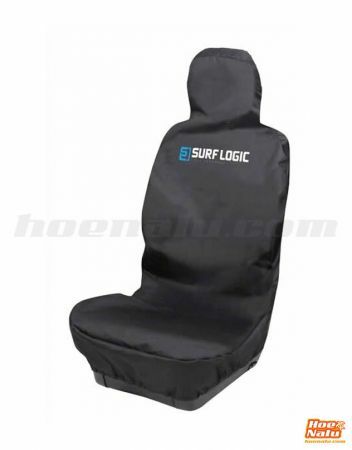 Another great accessory by Surflogic are the seat covers. 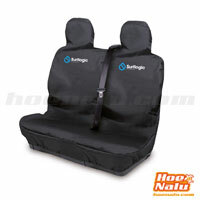 Until a few months, we only have the individual and black seat cover for the driver and compaion seats, but now Surflogic makes covers for two and three places seats. It is perfect for vans, caravans and rear seats. And that's not all, now Surflogic makes the covers on camo finish too. 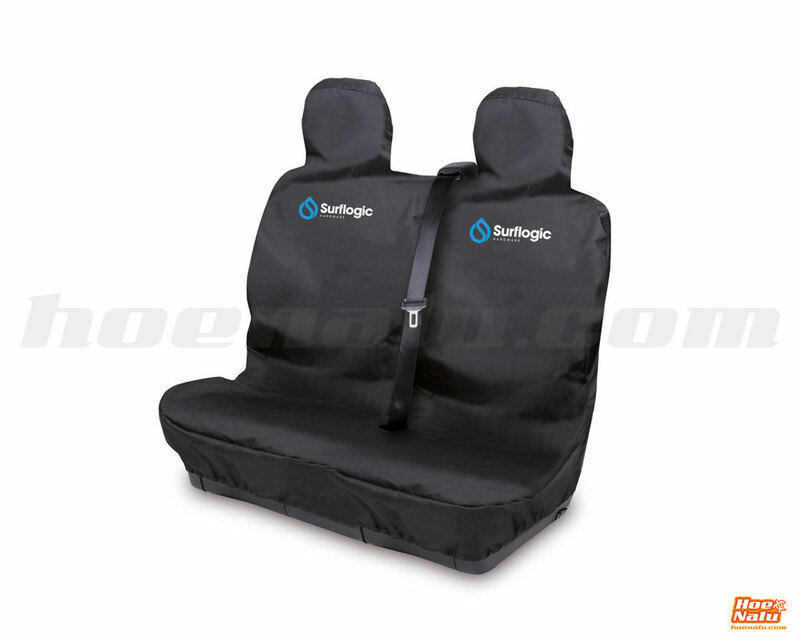 The Surflogic seat covers are completely waterproof, so they avoid that the seat is wet and the bad smell of the humidity in the car. In HoeNalu we are using these covers for a long time and they do the function perfectly, as well as they look like the first day despite of the everyday use. We strongly recommend it if you want to keep your seat dry as well as if you have dog or cat and you want to keep the seats clean. It is for all type of seats except those that have side airbag inside the seat, then you can contact to us and we will recommend you another option. These are the accessories of the Surflogic range that we consider more useful and that they have shown a high quality along the time of use. They are suitable to everyone practicing watersports or people who just only enjoy going to the beach and want an accessory that make the routine easier. If you have any question or want more info about Surflogic accessories, just contact us, and we will be glad to help you.